I’m not a theatre critic by trade, but I know an extraordinary play when I see it. 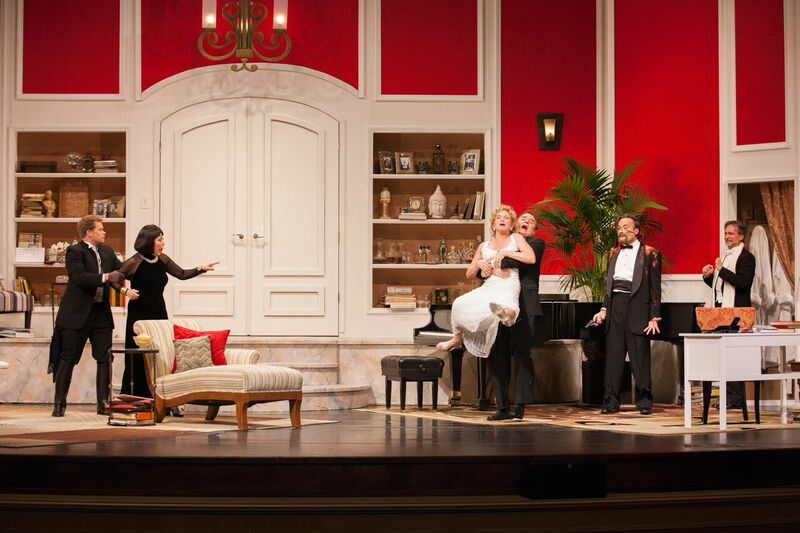 And, the Hawaii Theatre’s production of “It’s Only a Play” is a superb example of island theatre at its best. Directed by Logan Reed, “It’s Only a Play” is all about people who make a living (or try to) in the theatre. It’s set in New York City where Peter Austin (Paul Mitri) anxiously awaits to see if his new play is a hit. With his career on the line, he shares his opening night with a cast of hilarious and authentic characters: his best friend and television star (Joe Moore), his fledgling producer (Linda Purl), his erratic leading lady (Cathy Foy), and his wunderkind director (Ryan Wuestewald), an infamous drama critic (Tom Holowach), and a fresh-off-the-bus coat check attendant (Dezmond Gilla) who just arrived in Manhattan. What happens next is a fantastical ride full of laughs, well-written lines, and perfectly-timed pacing. And the chemistry? Outstanding. It hit all the benchmarks of a well-cast production: outstanding interaction, well-rehearsed lines, and top-notch timing. The show is an ensemble cast of characters. If I had to pick a stand-out performance, it would be Cathy Foy’s portrayal of a doped-up diva. She was downright hilarious in the role and, once again, reminded me of the enormous amount of Hawaii talent. 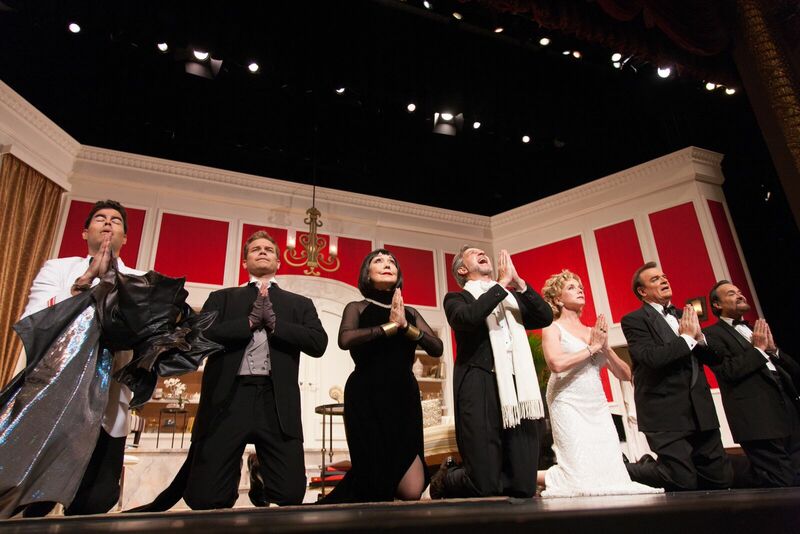 This is the first time the play has been produced off-broadway. Joe Moore, who is a principal news anchor with KHON, plays former theatre actor turned TV star James Wicker; Linda Purl portrays the clueless, but kind producer. Purl is an outstanding Hawaii talent and perhaps best known for portraying Ben Matlock’s daughter Charlene in the TV series Matlock. She was most recently seen as Pam Beesley’s Mother in The Office. Purl will play a clueless but kind producer. Purl is perhaps best known for portraying Ben Matlock’s daughter Charlene in the TV series Matlock and was most recently seen as Pam Beesley’s Mother in The Office. Her Broadway credits include The Adventures of Tom Sawyer (2001) and Getting and Spending (1998). This “play about a play” is a fantastic way to spend a night out, especially if you’ve always wondered, “what goes on behind the scenes?” of a real Broadway play. Tickets are available starting at $22 and are available online at www.hawaiitheatre.com, by calling the Hawaii Theatre Box Office at 808-528-0506 or visiting the box office at 1130 Bethel Street, Tuesday through Saturday, 9:00 AM to 5:00 PM. For more information, visit www.hawaiitheatre.com. Discounts for Hawaii Theatre members, groups of 10 or more, youth (18 and under), seniors (62and older), and students and military (with valid ID). Some restrictions may apply.